From I-25, take Lincoln Ave. east past S Parker Rd., and follow signs for Lincoln Creek by D.R. Horton at Pine Dr.
Est. Move-In Jun/Jul 2019. Stunning 2-story home with covered front patio with stone exterior, 9’ ceilings on main level, Transom window at front entry and full unfinished basement. The kitchen includes an eat-in breakfast bar, pantry, gas stainless steel appliances, slab granite counters with undermount sink, dark cabinets with crown molding and beautiful weathered luxury vinyl plank on the entire main level. Tankless water-heater, smart home package, garage door opener and window coverings. Front and backyard landscaping with irrigation and backyard fence included. Lincoln creek is home to an 8 Acre community park, close to the Pace Center, Mainstreet Parker, Library, Parker Ice Trail at Discovery Park, dog park and disc golf course. Easy access to I-25/C470, park and ride, and the RTD Light Rail. Welcome to Parker! 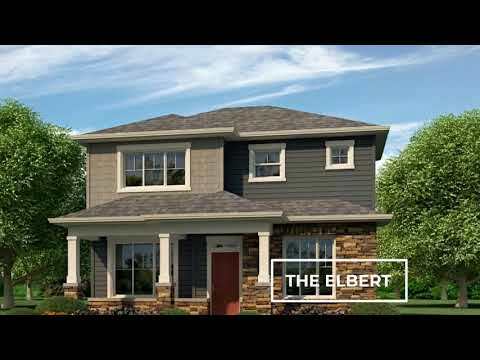 We’re excited for the opportunity to serve as your home builder in Parker. D.R. Horton offers single family homes in this area, featuring 2 story and ranch-style homes all constructed with our spacious, open-concept floor plans. With homes available from D.R. Horton, we have a home for every stage in life. With convenient access to Denver and Colorado Springs, Parker offers plenty of activities to fit your lifestyle needs. Whether you’re interested in shopping, dining or recreational activities – Parker communities offer a variety of ways to help make your new house a home.